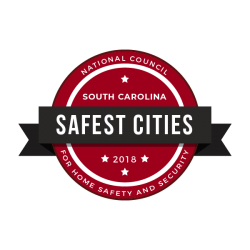 The Patrol Division is made up of 4 shifts that provide continuous 24-hour preventive patrol coverage and responds to calls for service within the Town of Irmo. Each shift is led by a Sergeant who reports to the Captain. The Sergeants strive to insure proper patrol coverage, a quick response to 911 and other calls for service within the town limits of Irmo. Public Safety starts with providing order maintenance through the presence of uniformed police officers. Therefore, the most visible function of the Irmo Police Department is the uniformed patrol officer. The role of these officers is varied to include detecting and deterring crime; traffic enforcement; direction and control; suppressing disturbance; apprehension of offenders; responding to calls for service; rendering aid; preliminary investigations; and interacting with the community in a manner consistent with our policies.